Still looking for some last-minute additions to your fantasy team this week? We're here to help. Whether you're dealing with some early-season injury bugs or left some holes open after your draft, there's a handful of players still available in most leagues that could be of service this week. 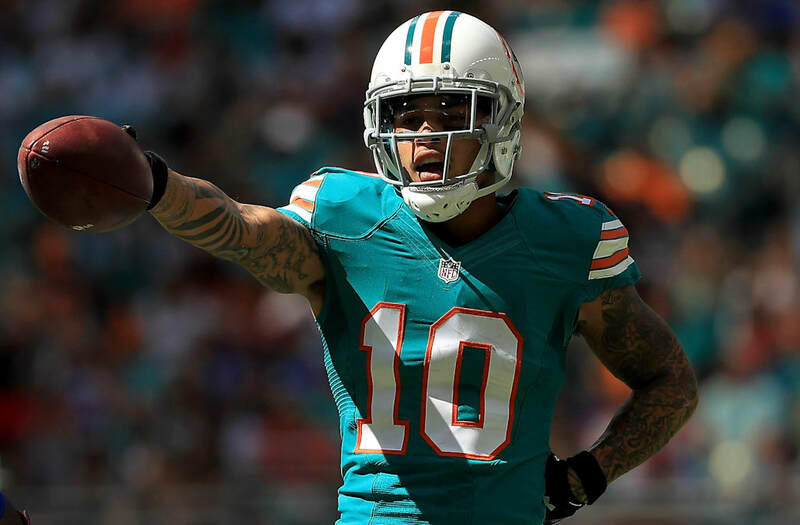 Fresh off a 100-yard outing, Kenny Stills now gets to go up against one of the worst passing defenses in the NFL when his Dolphins take on the Jets. He's typically a boom-or-bust play, but against New York's secondary, the 24-year-old should be in for a big day. 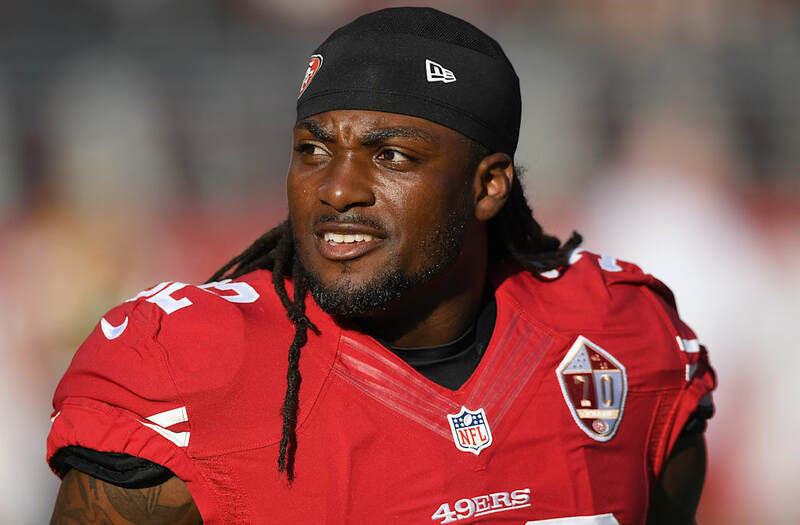 With Carlos Hyde missing from the 49ers lineup, Harris is slated to receive a decent look after accruing 39 yards off 11 carries last week. Offensive coordinator Curtis Modkins said this week that Harris has earned himself more chances, and if he gets them against a brutal Saints defense, he has fantasy value. The Rams tight end has racked up 12 receptions over his last two games, and goes up against a Carolina defense that has allowed 11 catches and two touchdowns over its last two outings. 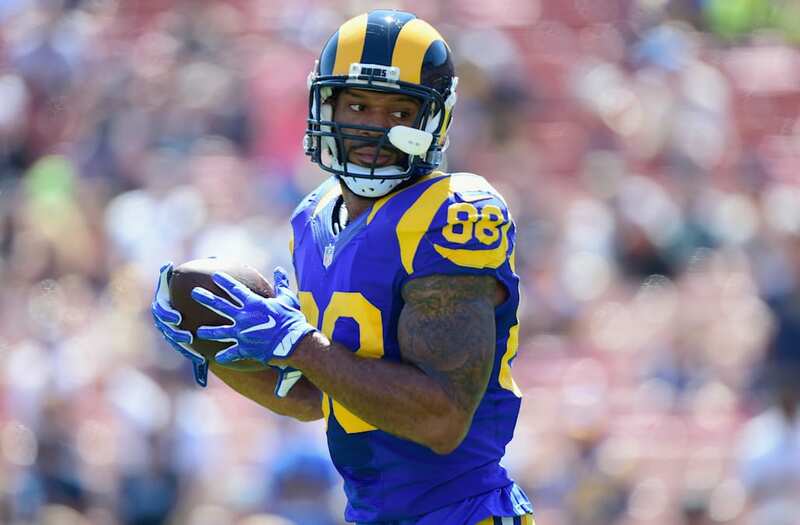 If bye weeks have you in a tight end pinch, Kendricks should be a stable options to turn to. 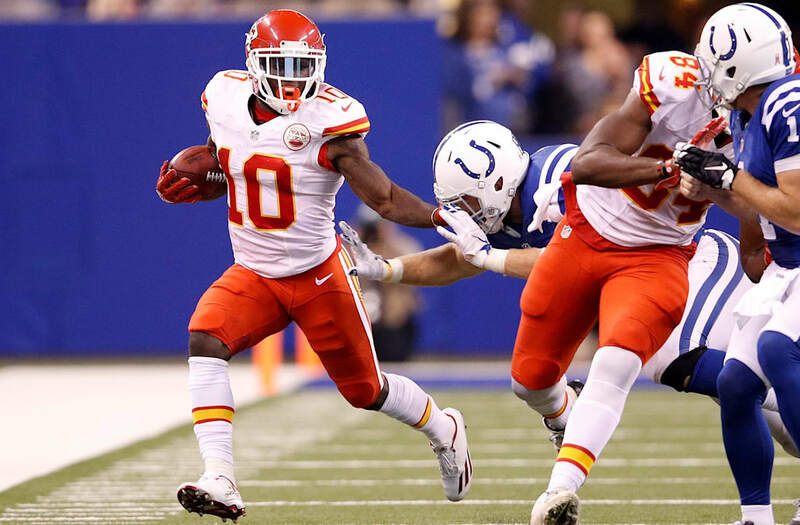 The speedy wideout has scored a touchdown for Kansas City in three of its last four games, and tied his season-high with five catches last week. Jacksonville's defense has done a poor job of containing the passing game this season, and Nick Foles under center with Andy Reid calling the plays gives Chiefs receivers a bit more value this week. For a while, it looked like the Browns were finally about to come out on top. But after allowing 21 unanswered points to the Jets' offense in the second half, that dream died hard. San Francisco will look to come out of its bye week strong against a beatable Saints team. They haven't won since Week 1, so any sort of momentum would be welcomed. Chicago soundly beat Minnesota on Monday night in their most impressive performance of the season. If Jay Cutler can keep that type of intensity up the rest of the way, the Bears may have a run in them. But history tells us to temper expectations. They salvaged a win against the Browns after falling behind big in the first half, but came dangerously close to being Cleveland's first victim. Led by Jay Ajayi, the Dolphins strung together a bit of momentum before their ill-timed bye week. They'll try to ramp back up against the Jets at home this week. New Orleans held on in the final minutes to knock off the Seahawks, limiting Seattle to just 20 points. The defense will need to perform this well on a more regular basis before the Saints will have a real chance, though. The Ravens will have a chance to earn their first win since Week 3 this week against Pittsburgh, who may still be without quarterback Ben Roethlisberger. Even if Roethlisberger suits up, he won't be far removed from knee surgery, leaving the Steelers vulnerable regardless. The Rams have the misfortune of hosting a Panthers team that finally has some momentum behind it. Not great timing for a team that hasn't won in a month. Carolina won its first game in more than a month, and now travels to California to take on the Rams. The team's defense finally showed some of its 2015 dominance, and will look to carry it into Week 9 as the Panthers try to claw their way back into the playoff picture. Tampa Bay was gifted with a record amount of penalty flags from Oakland last week, and still couldn't find a way to translate it into a victory. Granted, the Raiders are among the league's top teams, but that was a game the Buccaneers had to win. The bad news for the Chargers is that they're coming off a loss to Denver -- the good news is that the Broncos don't appear on their schedule anymore this season. San Diego seems to have figured it out of late, and a relatively easy schedule could help them rise back into postseason contention by season's end. New York is one of three NFC East teams with four wins, and they'll take on Philadelphia in Week 9. They didn't exactly impress before their bye week in London, beating the Rams only after Case Keenum lofted a pass directly to the Giants secondary late in the fourth quarter -- but a win over Philadelphia could solidify them as the East's second-best squad. Washington heads into its post-London bye week disappointed, after a botched kick cost the team a victory just before the overtime expired. Instead of a firm second-place spot in the NFC East, Washington is a step behind the Giants and Eagles, with a challenging schedule lying ahead. The Texans currently lead the way in the brutal AFC South with a respectable 5-3 record, despite Brock Osweiler averaging less than six yards per pass attempt thus far. They'll get a chance to recharge on their bye, but as of now, only Tennessee seems to be serious threats to their top spot. The Bills failed to complete the improbable season sweep of New England at home in Week 8, but with a 4-4 record, are still in a position to grab a Wild Card spot if they play their cards right. Matchups with the Browns, Dolphins and Jets to close out their regular season campaign could help make that a reality if they hold their own against decent teams in the coming weeks. The Eagles blew a chance at staying on pace with Dallas for the division lead, and instead lost their third game in their last four tries. Still, both sides of the ball still seem to be clicking well, and a win against the Giants this week would firmly keep them among the league's more formidable squads. Pittsburgh may have Ben Roethlisberger back for Week 9, but even if that's the case, just weeks removed from knee surgery, there's reason for concern on the road in Baltimore. Atlanta rebounded well from back-to-back losses by outlasting Green Bay, extending their NFC South lead over Tampa Bay and New Orleans. They'll face a short week this Thursday night against the Bucs, but a win would do well to prove that this year's Falcons team is cut from a different cloth than the Birds of 2015. The Raiders pulled out a road win in overtime, but only after setting a new NFL single-game record for penalties. They're on their way to success, but these are things Oakland needs to iron out before they'll truly be considered among the class of the league. Still leading the way in the NFC West, Seattle couldn't pull off a comeback win in the final play last week in New Orleans. That's two straight weeks without a win, as the team heads back home to host Buffalo next Monday night. Minnesota came out flat in Chicago and was dominated in every facet. We're certainly not giving up on them yet, but they're in need of a strong performance against the Lions on Sunday. Green Bay lost by a point to Atlanta, and while they're in desperate need of a convincing victory, the Falcons are no pushover. Against Indianapolis at Lambeau this week, they'll have their chance to dominate. Kansas City finds itself in the thick of a three-horse race in the AFC West, but now could be down a quarterback heading into a Week 9 matchup with Jacksonville. Still, entering 5-2, the Chiefs should be able to escape unscathed. Denver will be taking on their two primary AFC West competitors over the next three weeks, which should give us a firm grasp on where they truly stand. They were able to handle San Diego after dropping a primetime matchup against the Bolts earlier in the month, but more challenging competition awaits. The Cowboys asserted themselves as the class of the NFC East by taking down Philadelphia, and now have the luxury of playing Cleveland in Week 9. Dallas is rolling, and it doesn't seem like many teams can stop it. Head and shoulders above the pack lies New England with a 7-1 record. At this point, anything less than a 14-2 finish would be a surprise.